Hemel town u/16 bluearrow-rightCreated with Sketch. Today we travelled to Rickmansworth to battle Croxley Green in this County Cup fixture. High flying Croxley are unbeaten this season in all competitions . Can the BLUES change that. ? NO. With a midday kick off and without star man BILLY HOPKINS the game gets underway. With a formation of 4-3-2-1 I felt it would be good to defend a strong attacking team for the first 15 minutes. See how it goes and change accordingly. It wasn't long though as we we once again got caught napping in defence to find ourselves a goal down on 8 minutes, but what was to follow throughout this game was not what any of us wanted to be part of. A strong Croxley side with good passing and a team that defended as a team. The first 15 minutes though was good. Although going a goal down we battled. We gave them a game and you wouldn't have believed the gap in divisions. As I mentioned, the word battle keeps popping up. We are a team of battlers. We seem to lose our passing ability. Our desire to stand up and be counted has gone in some players. To be honest after our great 15 minutes we completely last control of the game and conceded more goals in abundance. It was easy to see why Croxley were flying high. They had control on the ball. They passed accurately and played as a team. When they went forward there defence regrouped and did the job. That can't be said for ours. PIUCH was outstanding at left back. But even the players playing well could not be expected to carry others. Hence this heavy defeat. Our tactics and formation were soon disappearing before our eyes as we struggled to maintain our shape. A few shots on target, but nothing really to trouble the home keeper. Not one corner for us in the first half summed it up. Croxley added another 5 before the whistle blew for half time. I really don't think there was a lot more we could do, but to battle on and play to our ability. We weren't playing well . A few changes starts the second half and once again we started to push up field and pressure the Greens defence. This was better. Now EREN and RYAN were putting the pressure on. OHENE was causing problems and was unlucky not to get us back in it with a low shot that went wide, however: Ohene did get us a goal back when he fired home under the body of the keeper deep into the area. Once again we huffed and puffed, but our passing and vision was missing. 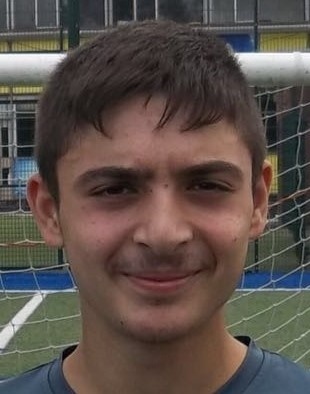 Man of the match EREN dropped back in defence, but couldn't stop the Croxley adding a further 7 second half goals to destroy us. DREW in goal was unlucky as he had 6 one on ones with 5 executed. So out of the cup and i'm sure players will be thinking about this game this week and how to improve. Beaten by a good team. Beaten by a footballing side with power and fitness. So good luck to them. No bookings. great refereeing and a result which flattered them. Next week we have to go again against Oxhey at home. Another undefeated team with a 11.30 kick off. I believe in this team. Yes we have weaknesses. But we do have our strengths. We will give it our all. We will improve. Let's learn from this. Heads up and try harder . Keep to our patterns and keep myself and Darren proud.